Lionel's Melbourne is home to many fantastic hotels, from the history-rich old dames to modern contemporaries, from luxury deluxe to the mass market affordable. There's a hotel from every domestic and international traveller to suit leisure, business and event needs. I decided to take a stroll, chat up the various properties and find out what they have to offer. One of the favourites on my hotel list as well as other travellers is the 1883 grand dame which celebrates her 130th birthday in 2013. Older than Raffles Hotel in Singapore, The Ritz and Savoy hotels in London and The Plaza in New York, The Hotel Windsor has stood watch over Melbourne's Spring Street for 129 years. Naturally a hotel of this calibre has attracted many glitterati over the years including Vivien Leigh, Sir Robert Helpmann, Katherine Hepburn, Gina Lollobrigida, Lauren Bacall Gregory Peck, Muhammed Ali, Anastascia and Daniel Radcliffe. Victoria Batter, the Marketing Manager of The Hotel Windsor and I caught up to chat more about the 'Duchess of Spring Street'. Built in 1883 when Europe fell in love with the notion of a 'grand hotel', renowned architect Charles Webb designed the hotel for owner shipping magnate George Nipper, which was to offer the most stylish and luxurious accommodation of its time in Melbourne. It was known as 'The Grand Hotel'. It changed hands in 1886 to James Munro who changed its name to the 'Grand Coffee Palace' after burning the Hotel's liquor license. Alcohol was again available in 1897. Due to the proximity of the property to Parliament House and other government offices, it became a favourite meeting place of politicians so much so that in February and March 1898, the final details of the Federal Constitution was worked out by the Drafting Committee in one of the hotel's suites. The name change to 'The Windsor' occurred in 1923 in honour of a visit by The Prince of Wales. 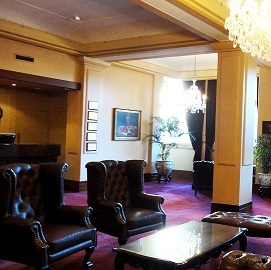 To preserve the property and thereby a vital part of Victoria's heritage from the threat of demolition, the Victorian Government purchased the hotel in 1976. However, it was only after the acquisition of the lease by The Oberoi Group in 1980, and subsequent purchase in 1990, that the on-going future of the 'Duchess of Spring Street' was assured. In November 2005, the hotel was purchased by the Halim Group, who was committed to creating the most exciting period of the hotel's history to date. 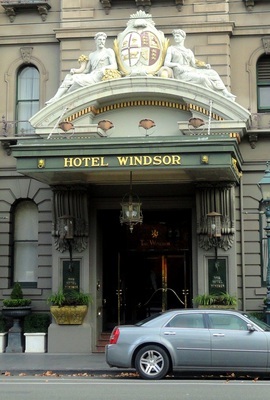 With a 2006 Conde Nast Traveller Gold List in place, that work commenced with an independent management company, The Hotel Windsor Management being appointed. 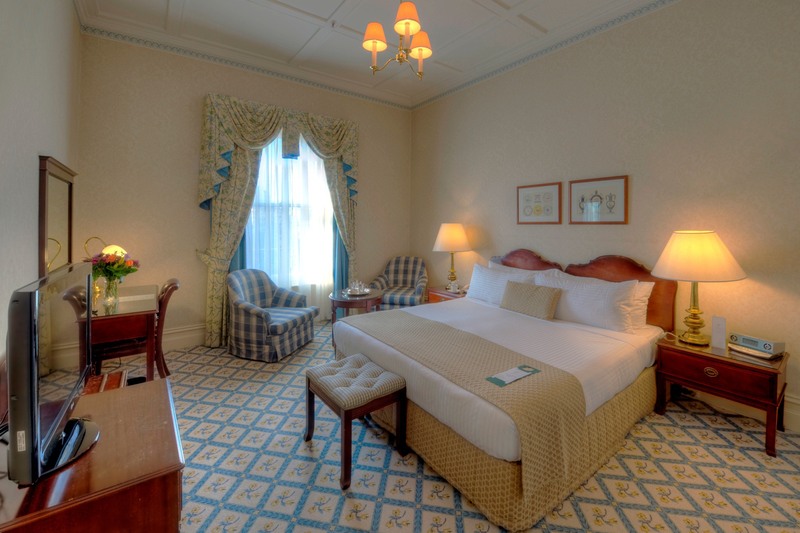 Unlike many vintage hotels which merely live off their history, The Hotel Windsor delivers a level of modern conveniences and personalised service expected of a deluxe-class hotel. This includes a friendly, approachable and knowledgeable concierge who takes the effort to assist guests; luxury amenities from The White Company (UK); choice of pillow from the pillow menu; high speed internet in its 180 elegant rooms and suites. The Suites with their separate lounge and king bedrooms make them ideal for private business meetings. 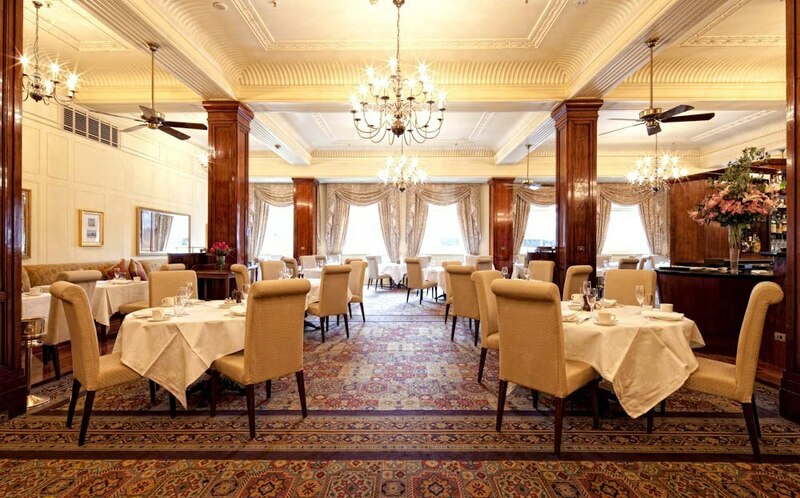 To many Melburnians, the words 'The Hotel Windsor' and 'Afternoon Tea' are synonymous as the hotel has been serving this quintessential Melbourne classic daily since 1883 in the 111 Spring Street Restaurant. Expect the three-tiered silver stands laden with baked scones, finger sandwiches, quiche, party pies and accompanied by freshly brewed tea and coffee served throughout your afternoon while you relax in the bygone elegance of Victorian white sofas and oak tables. 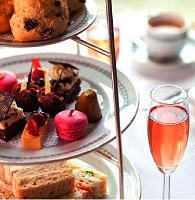 To celebrate the whole affair, the Afternoon Tea opens with a glass of sparkling rose at arrival. Additional stars of The Hotel Windsor are Executive Chef Matthew Lawdorn and Joel Alderson, heading the kitchen at the Wallis & Ed bar and dining room. Matthew who oversees the hotel's food and beverage operations is unveiling a compelling new dinner concept at the hotel's 111 Spring Street restaurant later in the year. Joel is currently redesigning the menu to offer some seriously good food from excellent local produce in a relaxed setting at Wallis & Ed, the hotel's funky wine bar, breakfast, lunch and dinner eatery Bourke Street restaurant. The Hotel Windsor is also home to Australian cricketing memorabilia in its Cricketers Bar. Retaining the classic English pub charm, the Cricketers Bar offers a warm and friendly place for a beer and affordable pub fare while chatting with mates or watching sports. It is also the venue for Executive Chef Matthew's mouth-watering twice-cooked crispy pork belly during the Look.Stop.Taste Food Festival. Anyone who loves the opulence of Victorian décor will surely fall in love with The Hotel Windsor's Grand Ballroom. The majestic space features history-rich décor embellished by 7 original heritage listed stained glass domes ideal for 180 pax gala dinners or weddings with minimal theming. The hotel also provides 3 other private function rooms with capacity of 30 to 180 persons. All function spaces come equipped with broadband and wireless internet. Why? Melbourne is home to many fantastic hotels including The Hotel Windsor build in 1883. I decided to find out why this hotel is such a great place to stay, eat and meet.